Neuroendocrinology is a discipline which originated about 50 years ago as a branch of Endocrinology and that is now strictly linked to neuroscience. 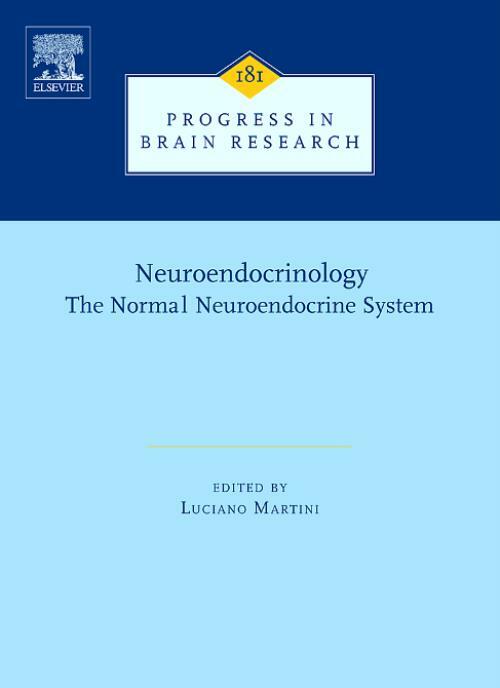 Volumes 181 and 182 of Progress in Brain Research provide a rapid view of the major points presently discussed at biological and clinical levels. The chapters have been written by top scientists who are directly involved in basic or clinical research and who use the most sophisticated biotechnological techniques. The volumes cover of the role of genetics in many endocrine-related events, like neuroendocrinological diseases and endocrine depenedent cancers (prostate, breast, etc,). Interesting information is also provided on possibile treatments of neurodegenerative brain diseases (e.g., Alzheimer and similar syndromes). 11. Steroidogenic enzymes in the brain: morphological aspects G. Pelletier (Quebec, Canada).